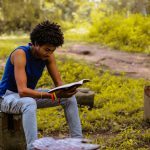 Choosing pavers for your garden landscaping? Before you go looking at paving patterns and designs it’s important to know the best type of pavers for your purpose, budget and taste. In this post we’ll help you choose the right type of pavers for pools, driveways and paths. 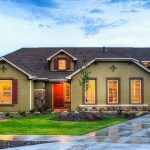 Let’s look at the pro’s and con’s of the most common types of pavers, clay, concrete and natural stone. The Romans paved their streets with clay bricks everywhere they went because all they needed was clay soil, water, and sun to dry them. Later we learned to bake them rock hard in kilns. 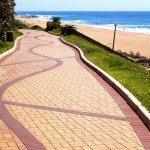 Today they remain one of the most popular types of pavers available. The modern clay paver manufacturing process is not unlike making bread in an oven. Although we do not recommend eating clay bricks or paving the garden with wholemeal loaves. You pop the mix into a mould, and bake it in heat. The natural qualities of the raw materials make a hard wearing and strong paving product, suitable for most applications around the home. 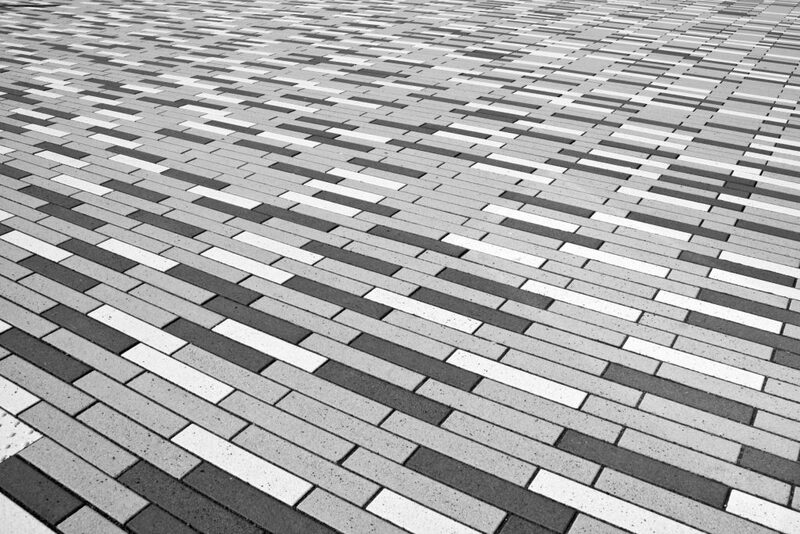 Clay paver colours are defined by the natural material used, producing earthy creams, browns, and reds. The colour may vary between batches, so it’s best to slightly over order for the area to be paved and mix them as they are laid. With different additives such as stone chips each piece turns out slightly different, which adds character to the result. Clay pavers are naturally textured, making them a safe choice for around the pool. They are chlorine resistant, but should be sealed if the pool is salt water. Concrete pavers are manufactured with a mixture of aggregate, sand, cement, dyes and pigments. Generally very little water is used and the dry mixture is poured into a paver mould and fired in kilns much like clay pavers. The mould is compressed and vibrated simultaneously, to ensure it’s is filled properly and evenly. They are the cheapest type of paver, and can be manufactured to resemble the look of natural stone at a fraction of the price. Due to the use of pigments and dyes, concrete pavers provide a wide range of colours, although the colour can fade over time. Make use of sealants to help concrete pavers maintain their colour for longer. 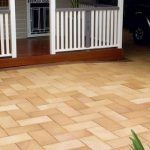 Concrete pavers are an almost universal solution for driveway paving because of lower costs, and attractive borders can be formed using different contrasting colours. Although concrete types of pavers are a cheaper option, the material is porous and the only way to remove a stain is to replace the paver. Regular sealing is needed to maintain concrete pavers around pools. There are various types of pavers in natural stone. Here one thinks of marble, granite, slate, bluestone, sandstone, quartz and pebbles. The stone is first mined from a quarry or rock outcrop. Slate pavers are often made by splitting the stone along fault lines producing varying thickness and sizes for a very natural effect. This is refered to as random tiles or crazy paving. Materials like sandstone and marble are cut to a smooth consistent size, usually in a large format. Natural stone pavers are the most expensive option, yet are highly desirable in terms of their stunning effects. Natural stone crazy paving, or random shaped pieces are idea for garden paths and step stones, creating a natural flow into your garden. Cut stone can create a stunning elegant space, but comes with a price tag and is best for smaller spaces such as pools and courtyards. The slip resistance of natural stone paving varies depending on the material, so it’s best to consult with your paving supplier and find a landscaper for use around pools.